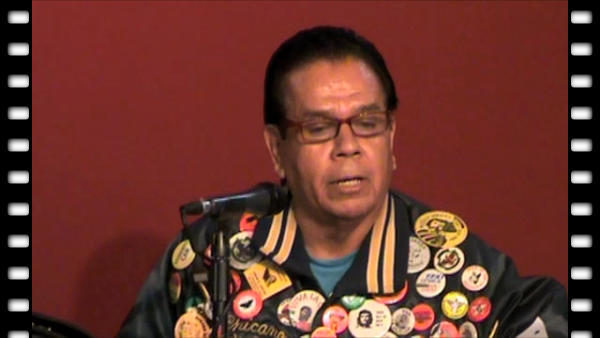 This is a 15:25 minute video of Alfonso Hernandez speaking on August 30, 2014 at the Chicano History Revisited event at the Sal Mosqueda Community Center in Fresno, California. Hernandez was an activist who created and established the Chicano Youth Center, helped organize High School walkouts and set up M.E.C.H.A. chapters in the Central Valley. He was on Panel II: !YA BASTA! 1973 - 1974. Alfonso Hernandez passed away on January 6, 2015.